Vibrant fall color along McClure Pass. 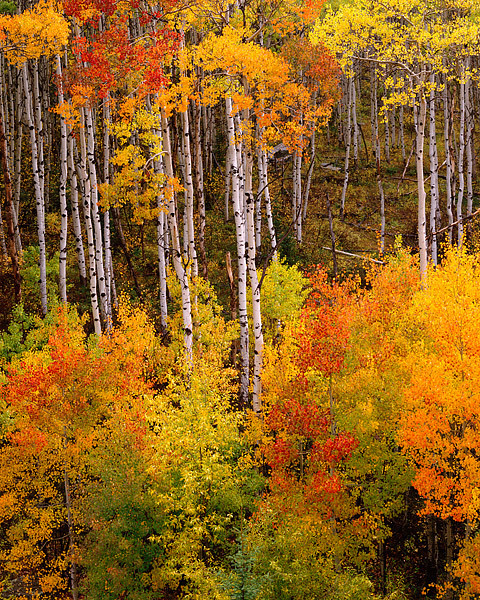 McClure Pass is one of the few places in Colorado where one can photograph red and orange Aspens along with the more typical yellow Aspen. Photo © copyright by Thomas Mangan.